All that dazzling light combined with our high-specification glazing incorporating the all the latest technological and manufacturing advancements mean rooflights from VisionAGI are a green choice for your home. Whether opening, fixed, standard or bespoke, our rooflights bring with them built-in benefits such as a reduction in energy bills and increased ability to control and maintain the internal temperature of your home. But the ‘greening’ effect of rooflights doesn’t stop there. In fact, if you have a green thumb – or if your outdoor space is limited due to your home being in an urban environment, adding a rooflight means you can enjoy indoor gardening in a way you may not have been able to before. Often rooflights are installed into an area of the home that has no windows whatsoever. So, growing anything would have been difficult to say the least. Add to this the fact that the quality of light channelled by a rooflight is of a higher quality than that of vertical windows, and you open up all kinds of possibilities when it comes to greening up your home. For all you budding home horticulturalists out there, there are a few simple rules to follow when considering growing plants under your rooflight. 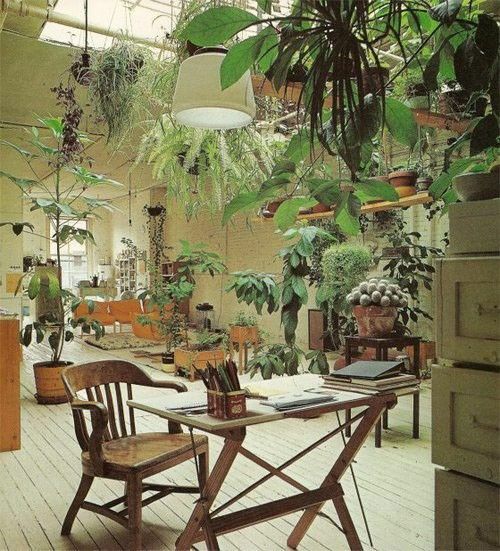 1: Don’t try to grow outdoor plants indoors. Your rooflight brings in the light but it doesn’t alter the fact that your home is an indoor environment. Outdoor plants will not usually thrive inside over the long term. 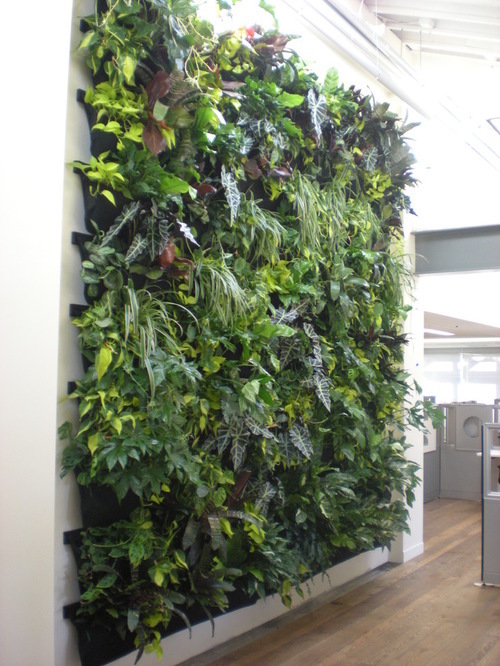 However, when it comes to indoor plants – the sky is the limit. 2: Style & Position of Your Rooflight: Does your rooflight channel direct sunlight? If so, some plant types such as ferns for example which thrive in damp, shady places, may not be suitable. What style of rooflight do you have? This too can dictate your choice of greenery. The same goes for the room where your rooflight is. A bathroom rooflight which enjoys daylight but no direct sunlight (or not much) is an ideal place under which to place those ferns or spider plants for example. 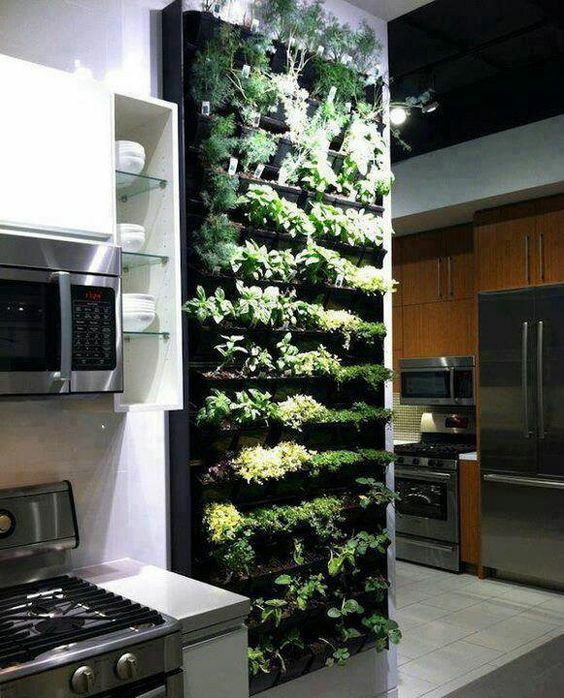 The light from an angled rooflight in your kitchen could mark the ideal place for a vertical herb garden such as this amazing example which benefits from being bathed in rooflight! 3: How does your indoor garden grow? Plants naturally grow towards the light except for trailing plants. How big will your plant grow is another question to consider. How often will you need to re-pot it? 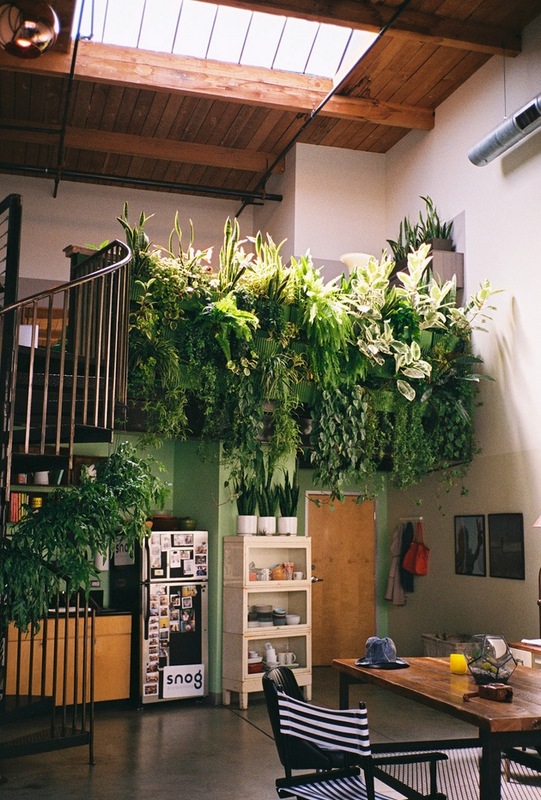 If your plants are suspended under a rooflight how often do you need to climb up and water them? 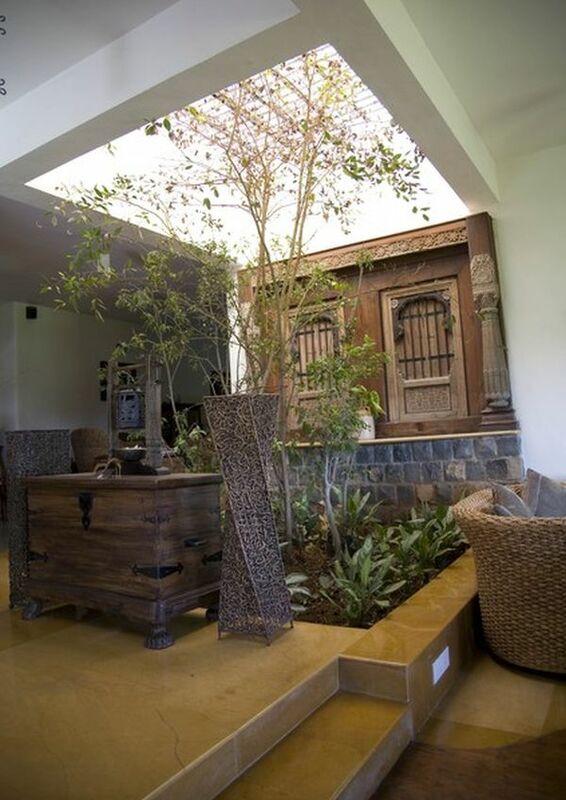 There’s a trend emerging for growing large trees indoors under rooflights and this can be a spectacular and beautiful addition to your home – especially if you have a large room with high ceilings to begin with. But bear in mind that the larger the plant – the bigger and more complex its root system. The larger it grows the more space and care it requires. 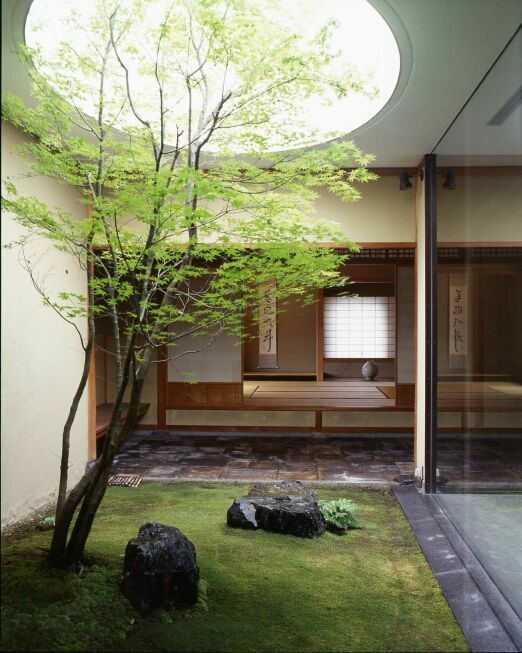 As you can see from these examples, the home owners have removed a section of the floor to allow the tree to grow. 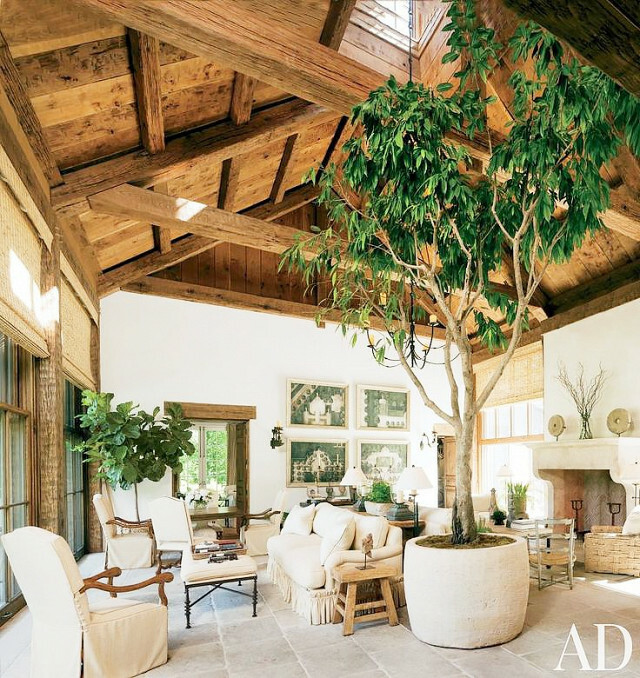 However, in the third example from Architectural Digest, the tree is planted in a container. 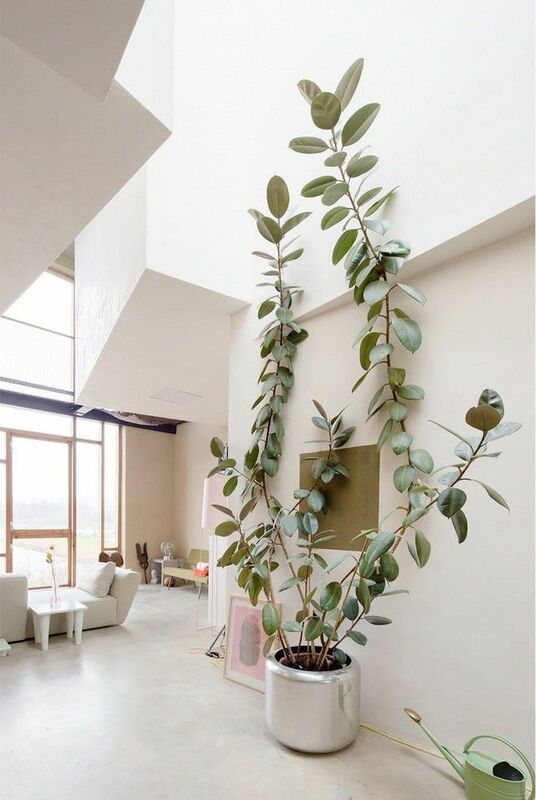 It’s helpful to know up-front how big your indoor plants are likely to grow – and how you are going to accommodate them as they do. 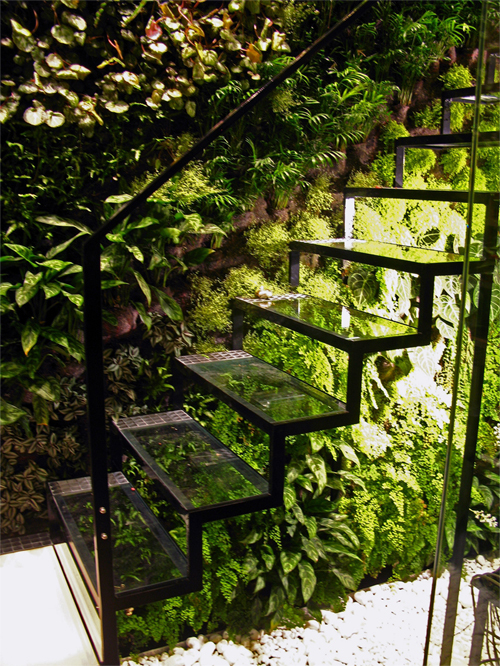 Our final example of ‘greening’ architectural glazing is this vertical glass staircase garden and another vertical garden of ferns under a rooflight. Interior or even exterior gardening with architectural glass opens up a wealth of green possibilities that would not be possible with any other medium!